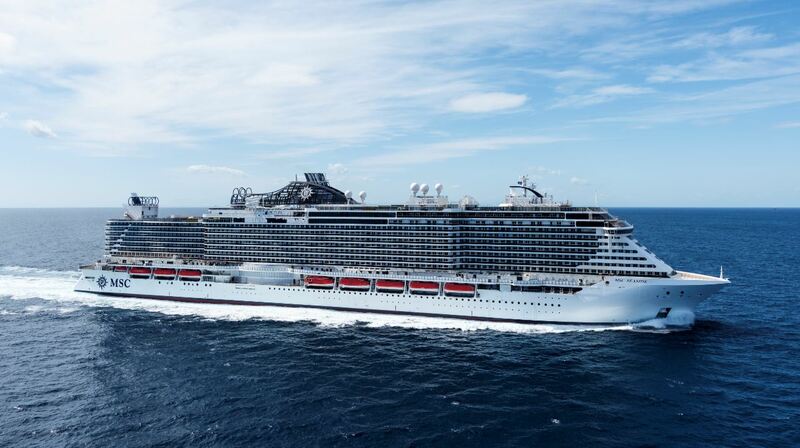 MSC Cruises has announced the line-up for the official launch and Naming Ceremony of MSC Seaside, which will be held on December 21st in PortMiami. Actor and popular American TV host, Mario Lopez will serve as the Master of Ceremonies and welcome guests to the star-lit festivities on MSC’s “Blue Carpet,” where celebrities will give interviews, take photographs, and meet the crowds. Lopez will then take to the stage to host the evening’s entertainment. Headlining the entertainment for the event will be international superstar Ricky Martin who will perform some of his most popular hits. Renowned for bringing Latin music to the forefront of popular music and having recorded in many languages, Ricky Martin truly encompasses the international spirit of MSC Cruises and the city of Miami. Also taking to the stage will be world-famous tenor Andrea Bocelli whose dazzling classical career has taken him all over the world – including performances for four U.S. presidents, three Popes, the British Royal Family and several Prime Ministers. Making a guest appearance at the event will be Miami football legend and Hall of Fame quarterback Dan Marino, who played for the Miami Dolphins for 17 years. MSC Cruises recently signed a partnership with the Miami Dolphins to become the official cruise line for the team. As part of the partnership fans and guests will have the chance to experience the Miami Dolphins at sea and meet team alumni on a themed cruise aboard MSC Seaside in 2018. An MSC Cruises’ Naming Ceremony would of course not be complete without the ship’s Godmother. 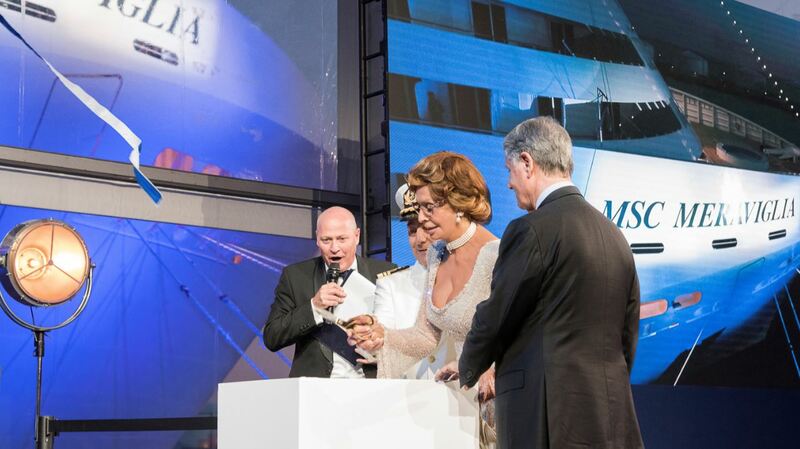 Sophia Loren, who has played the leading role in this time-honored tradition since 2003 will christen the ship with a ribbon-cutting and officially name the spectacular vessel, MSC Seaside. For a look back at the christening ceremony of MSC Meraviglia earlier this year visit “The christening of MSC Meraviglia, the ship for all seasons“.